Save this list of the best wine shops in Pune. It’s going to come in handy when you’re having a party or just want to pick a bottle or two to drink at home. Sitting on Pan Card Club Road, Cellars is a classy wine shop that stocks up on many international and Indian brands of alcohol. It’s an ideal place to stop by if you’re looking for big brands that other smaller wine shops may not have. The store’s counter may seem small but their service is quick on busy evenings and weekends. Located on SB road in Shivajinagar, Pritam Wines is where you can find your popular brands of alcohol. From wine to whiskey, grab all you need for a party. The wine shop sells by MRP and it’s rare to not find a brand here. Find this store in Bavdhan on the main street and pick up all your favourite bottles. As the name suggests, you’ll get your beer chilled and the service is quick. It’s a no-nonsense shop that wants you to grab-and-go. If wine is what you’re looking for, then that’s what you’ll get here. The store has an envious wine selection and can easily put any wine cellar to shame. If your local wine shop doesn’t have imported or Indian wine bottles, chances are you’ll find them here. The store is in Shivajinagar and you can definitely find a bottle that’ll look good to take to a friend’s for dinner. It’s your average neighbourhood wine shop. Find all your favourite brands and a few expensive international brands too. In Wanowrie, here’s where you should go if you want to be served quickly and want a good price on the bottles. 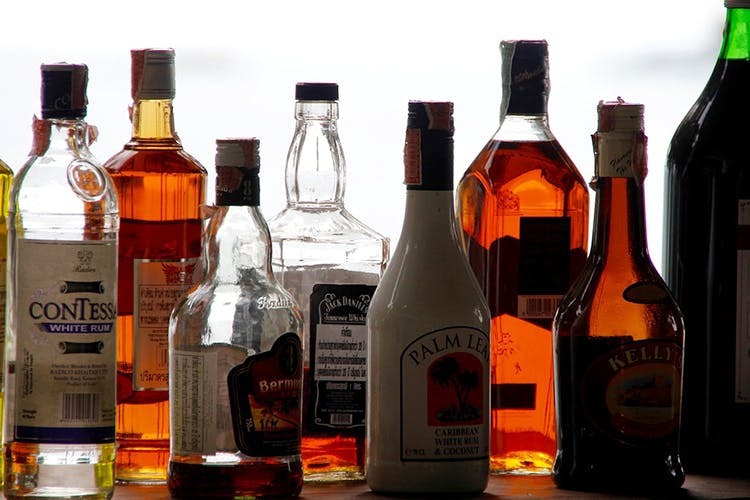 In Viman Nagar, shop for your alcohol from this store. The shop has an expansive set of bottles. You’ll find Indian and international brands and some rare wines too. The store stocks up on high-end brands like The Glenlivet, Baileys’, Moet and Chandon among others. In Pimpri-Chinchwad, this wine shop is as contemporary as they come. It will elevate your alcohol-shopping experience. It’s an air-conditioned shop with an industrial fridge that stocks chilled beer while wine bottles are displayed on floating shelves. The store also has framed quirky quotes and a fridge that keeps your soft drinks and mixers chilled. And, their service is polite and quick.